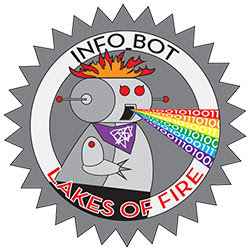 Lakes of Fire Needs YOU! We have several openings for important leadership roles within Lakes of Fire and Great Lakes Experimental Arts (GLEA). These are roles for dedicated people who want to volunteer with Lakes of Fire beyond the week of the burn. If you feel you have the experience and desire to serve the organization, event, and attendees through this vital role, please email board@lakesoffire.org to be considered for the open Board positions. We need to fill this role soon – please email gryffn@gmail.com if you’d like to contribute. The Gate leads organize, manage and operate the front door to Lakes Of Fire. This absolutely essential team has first contact with participants entering the event, collects and processes tickets, verifies I.D.s, and makes sure everyone gets wrist-banded. We need organized, level-headed individuals to help keep the machine that is Gate running smoothly.